For several years, portraits have been central to my work. 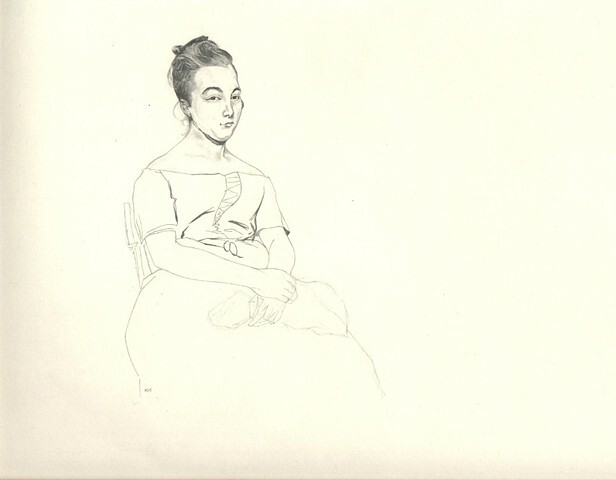 This drawing, a copy of a Camille Corot portrait entitled Flore, was completed shortly before I began classes with Ellie Siskind at the Indianapolis Art Center. Interestingly, some time after I made this study I noticed 'Flore' was very likely Corot's model for the more famous painting, Woman with a Pearl. Although I've never looked further into this, once you spend hours drawing a person's face you never quite forget it.